The Blohm & Voss BV 155 was a German high-altitude interceptor aircraft intended to be used by the Luftwaffe against raids by USAAF Boeing B-29 Superfortresses. Work started on the design as the Messerschmitt Me 155 in 1942, but the project went through a protracted development period and change of ownership, and prototypes were still under test and development when World War II ended. Performance estimates of the American B-29 Superfortress reached German command in early 1942. The bomber would cruise at an altitude at which no current German plane could operate effectively. To intercept it, the Luftwaffe would urgently need new aircraft. Work on such a high altitude fighter was begun by Messerschmitt, but in 1943 the project was passed to Blohm & Voss. The result would be the Bv155 prototype that made its first test flight in September 1944. 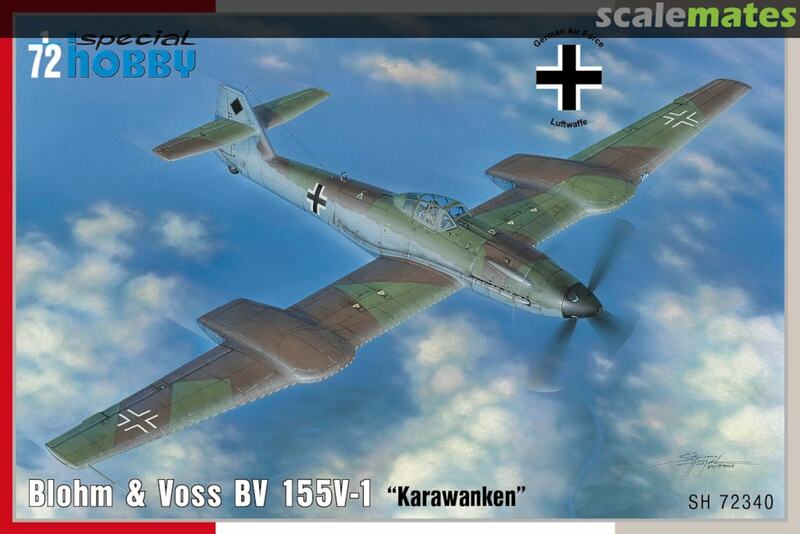 The story of the BV 155 began at Messerschmitt in the spring of 1942. A requirement had arisen for a carrier-based single-seat fighter to be based aboard the aircraft carrier Graf Zeppelin, then under construction. 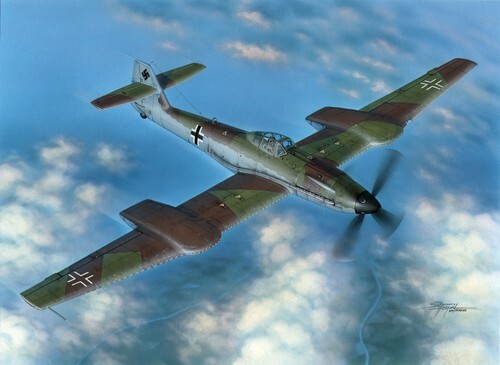 In response, Messerschmitt proposed the Me 155. In the interest of economy and simplicity, it was to use as many Messerschmitt Bf 109 components as possible, being basically a navalized version of the earlier Messerschmitt fighter. The Me 155 was to be powered by a DB 605A-1 liquid-cooled engine of 1,475 PS (1,455 hp, 1,085 kW). The fuselage was more or less that of the standard Bf 109G, but with an entirely new wing. The undercarriage retracted inwards into wing wells, providing the wider track required for safe carrier landings. Standard naval equipment such as folding wings, catapult spools, and arrester gear were to be fitted. Proposed armament was an engine mounted 20 mm MG 151 cannon and two 20 mm MG 151 cannons and two 13 mm MG 131 machine guns in wings. It had an estimated maximum speed of 649 km/h. Detail design of the Me 155 was complete by Sept 1942. However, the numerous delays in the Graf Zeppelin seemed to indicate that the completion of the carrier would be at least two years away. Messerschmitt was told to shelve the Me 155 project for the indefinite future. Work on the Graf Zeppelin carrier was eventually abandoned. In order that all of that work on the Me 155 project not go entirely to waste, Messerschmitt adapted its design in November 1942 to match a Luftwaffe requirement for a fast single seat bomber. 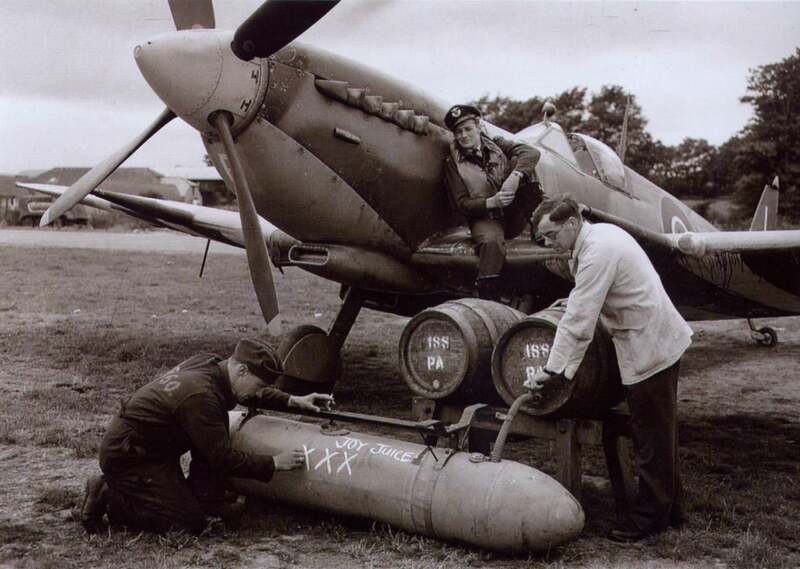 A single 1,000 kg SC1000 bomb was to be carried. All of the carrier equipment and most of the armament was removed from the aircraft. Additional fuel tanks were provided and an elongated, non-retractable tailwheel was added to provide ground clearance for the large bomb. The proposal was designated Me 155A. By the end of 1942, the increasing number of USAAF bombing raids and intelligence coming in about the new American B-29 bomber led the Luftwaffe to envisage a pressing need for an effective high-altitude interceptor. Messerschmitt adapted the Me 155 design again to meet this requirement, merging the design with an in-house study originally designated Me 409, then later Bf 109ST; the new aircraft received the designation Me 155B. The engine was to be the DB 628, which was basically a DB 605A with a two-stage mechanical supercharger with an induction cooler. A pressurized cabin was to be provided. It was estimated that a service ceiling of 14,097 m, could be attained. A converted Bf 109G adapted to take the DB 628 engine flew in May 1942 and attained an altitude of 15,500 m. However, the Technische Amt concluded that a DB 603A engine with an exhaust-driven turbosupercharger was more promising. The DB 603A provided 1,201 kW (1,610 hp) for takeoff and 1,081 kW (1,450 hp) at 15,000 m. This engine change required that the fuselage be elongated in order to house the turbosupercharger aft of the pressure cabin. Exhaust gases were carried to the turbosupercharger via external ducts. Air was drawn in through via a ventral trough aft of the wing. Standard Bf 109G wings were to be fitted outboard of a new, long-span, untapered wing center section. Other parts were scavenged from existing Messerschmitt designs – the vertical tail was from the Me 209, and the horizontal tail and the undercarriage were taken from the Bf 109G. In August 1943, the RLM realised that Messerschmitt was over-committed and transferred the design work to Blohm & Voss. The design team there came to the conclusion that the existing Messerschmitt design had too many weaknesses and a complete redesign would be necessary. In September 1943, an order for five prototypes was placed. Blohm & Voss accepted the order only on condition they had complete design freedom and were not bound by Messerschmitt's work to date. The redesign was named the BV 155. B&V gave it a new laminar flow wing and tail unit, landing gear from the Ju 87 and many other parts of the plane. Further wind tunnel testing showed that there was a serious problem with the overwing radiators, at high angles of attack the wing "blanked" them from the airflow and cooling would suffer. Work moved to a revised B model. 3 × 30 mm MK 108 cannon with 60 rpg. 3 × 30 mm MK 103 cannon with 60 rpg (two mounted in under-wing fairings). The first prototype, BV 155 V1, took off for its maiden flight on September 1, 1944. Tests with the V1 showed that the outboard radiators provided inadequate cooling, especially at high angle of attack. The intakes on the next prototype were enlarged and underslung beneath the wing rather than placed over it. However, the enlarged radiators caused a CoG problem, which required moving the pressurized cockpit forward. The Blohm & Voss team took this opportunity to replace the original Bf 109G canopy with an aft-sliding all-round vision canopy, and the rear fuselage decking was cut down. This in turn required that a larger rudder be fitted. The ventral radiator bath was also enlarged. With these changes, the BV 155 V2 flew on February 8, 1945. Blohm & Voss was still not satisfied with the design, and before the V2 began its flight trials they proposed that the engine be switched to the DB 603U having the larger mechanically driven supercharger of the DB 603E. The DB 603U promised a power of 1,238 kW (1,660 hp) for takeoff and 1,066 kW (1,430 hp) at 14,935 m. The ventral turbosupercharger was retained. The Technische Amt decided to accept this proposal, and abandoned all work on the BV 155B in favor of the revised design, which was designated BV 155C. The BV 155 V2 was damaged beyond repair during a bad landing. It was to be replaced in the test program by the BV 155 V3. The BV 155 V3 differed from the V2 in having the DB 603U intended for the BV 155C. However, the engine cowling and turbosupercharger were unchanged. Various armament schemes for the BV 155B were proposed. One proposal had an engine-mounted (or Motorkanone) 30 mm MK 108 cannon and two 20 mm MG 151/20 cannons. Another had a Motorkanone-mount 30 mm MK 103 cannon and two wing-mounted 20 mm MG 151 cannons. Estimated maximum speed was 650 km/h at 12,000 m and 690 km/h at 16,000 m. Service ceiling was to be 16,950 m. Empty weight was 4,869 kg. Normal loaded weight ranged from 5,126-5,488 kg, depending on the armament provided. According to Pegasus Models Kit No. 5002 information sheet, V1 and V2 were both provided to the RAF after the war. V1 was flight tested until it was written off. The fate of V2 is not known. V3 is in storage at the US Air And Space Museum's storage facility. In parallel with the prototype development, Blohm & Voss had been working on additional changes under Project 205. P.205 replaced the underwing radiators with an annular one around the front of the engine, a design feature commonly found on a number of German designs. With the wings now free of clutter, they were considerably simpler and were reduced in span. This also had the side effect of reducing the track, which would later prove to be a welcome change. The new design would be simpler, lighter and faster, and plans were made to make it the standard version of the aircraft. 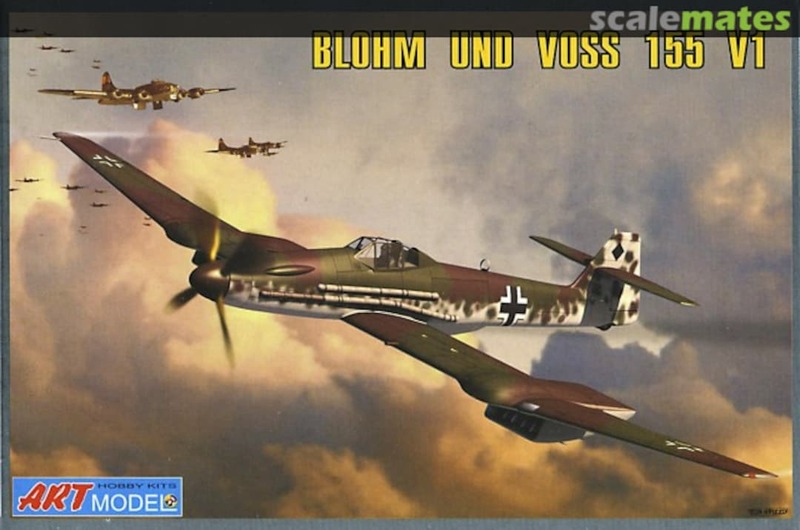 During the October re-evaluation, it was agreed that V1 through V3 would be completed as B models, while a new series of five would be completed to the new standard as the BV 155C. The BV 155C was to be significantly different in appearance from the BV 155B. The clumsy wing-mounted radiators of the BV 155B were eliminated, and the main landing gear leg attachment points were moved inboard to retract inwards. Cooling was provided by an annular frontal radiator as in the Focke-Wulf Ta 152. Large circular intakes were attached to the fuselage sides above the wing roots.